A Modern Eden is an artful line of toys and decor for stylish parents who want to inspire wonder about the world. 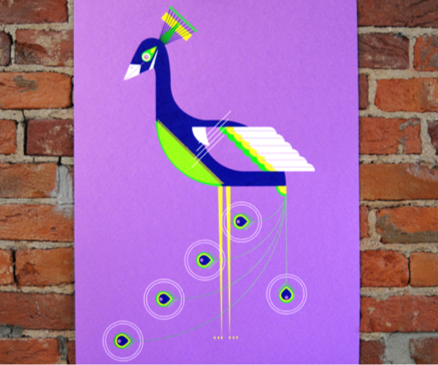 Our journey began in 2011 when illustrator Ryan Clark drew an owl in the iconic style of mid-century modern illustrator Charlie Harper for his soon-to-be son’s new nursery. Then he kept drawing — and drawing. Our multicultural, modern family now includes 40+ unique characters from far flung and not-so-far regions of the world. 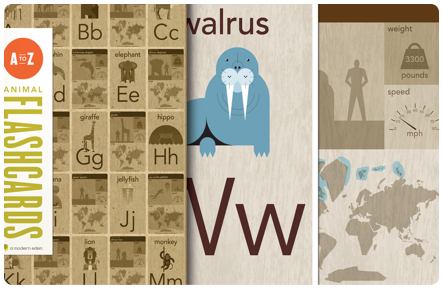 Sure a walrus is big, but how big exactly compared to mom and dad? Where does a polar bear take naps? Our products use inspired storytelling methods to unleash imagination and spur creative inquiry into our vast, wild world. From the African Eland Antelope to the Sea-Nettle Jellyfish, our flashcards teach kids about the habitat, size, weight, and speed of 36 different animals around the world. Speak Piggy promotes early childhood education by asking smaller tots to repeat the names — and sounds — of common animals. 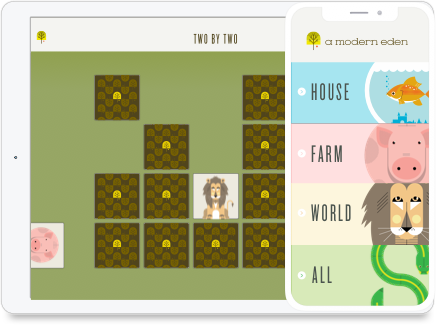 Two by Two captivates older kids with a game of quick wits and memory. We don’t think parents should have to choose been education and art. Our decor is designed to fit seamlessly into any home, while providing ample opportunities for play. 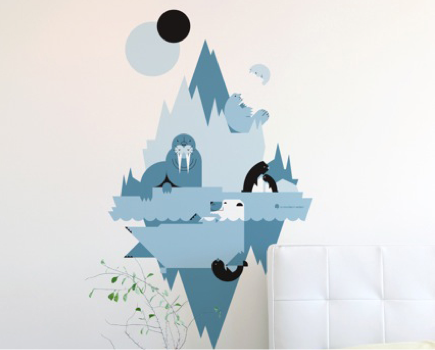 Our decals can spark a little mid-century modern art appreciation in anyone. 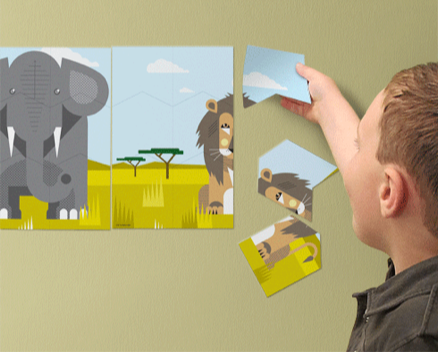 Featuring the same Blik Re-Stik technology as our wall puzzles, each edition is made from a low-tack material that can be easily moved (and re-used) and won't damage paint. Our puzzles are designed to delight preschoolers and toddlers alike. Each illustrated edition (available in Oceanic, Grassland, Polar, and Jungle) contains 36 individual pieces that can keep kids learning even if space is limited. We favor sustainable materials over what’s cheap and available, hand-crafted goodness over mass-produced goods, and idiosyncrasy over run-of-the-mill. These soft cotton totebags are a tidy marriage of form and function. Each one features a different minimalist motif — plus a subtle touch of embroidery — which ensures parents have style no matter what they carry. Our archival-quality posters are printed one-at-a-time on 100lb French paper in the heartland at Valhalla Studios in Kansas City, Missouri. Pick one or many — our collection currently features 19+ familiar faces. Are you in search of rare finds like ours? We’d love to talk about wholesale availability and pricing. 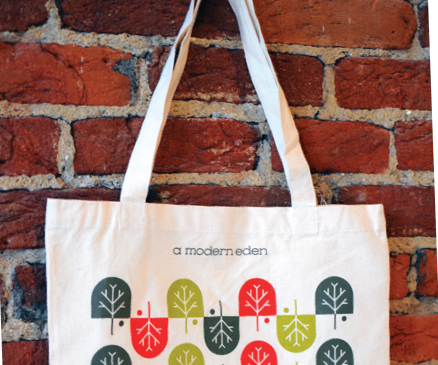 A Modern Eden is an inspired way to promote learning, play, and art appreciation.